Now that the warmer weather is finally promised we are making a big effort to ensure this particular ride takes place every Saturday! To help ensure it does, if no other volunteers come forward then one of the committee will lead it, and for this ride it is my pleasure to take a turn. 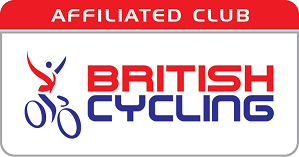 Ideally some of you who are reading this will be quite new to riding, not yet a club member but considering club cycling. It is also for those who choose to ride at this pace for the have a pure social pleasure in doing so. This ride is aimed at that and for those who are simply looking for a …well yes a leisurely ride! With spring in the air thought it nice to combine the ride with a chance to spot the seasonal joys of nature. Yes two for one :). So a trip to Lopwell Dam via the Plym Valley. Plym Valley Cycle Path to Yelverton – Crapstone – Buckland Monochorum – Milton Coombe – Lopwell Dam (coffee and cake here at the Old Pump House) – Tamerton Foliot – Looseleigh Lane – Derriford Roundabout – Home. It was a good while ago that I last led this ride so looking forward to seeing both some familiar faces and some new ones.